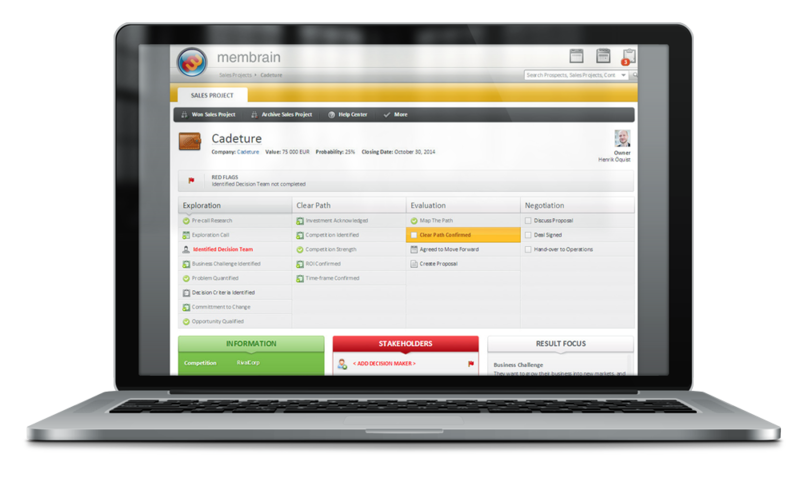 Membrain makes it easy to set up your best practice, milestone-focused sales process (without technical consultants). Provide a simple workflow from first contact to won sales project and encourage a more disciplined approach throughout every step of the way. Never let a deal fall between the cracks again!